Today I thought I'd let you in on what nail polish I'm wearing currently. 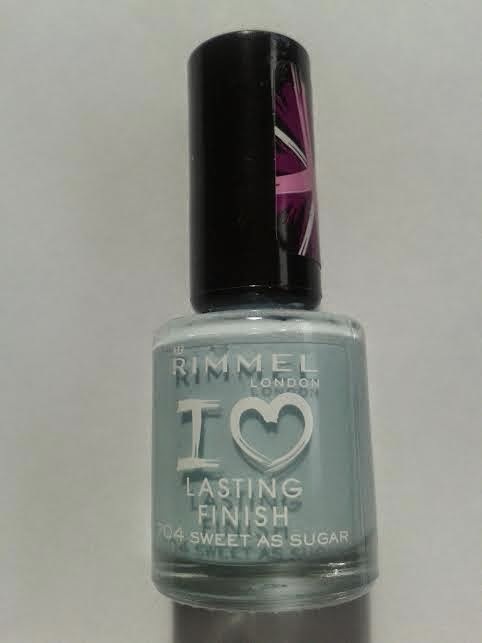 It's by Rimmel and is in the shade 'Sweet As Sugar' which is a pale pastel blue colour. 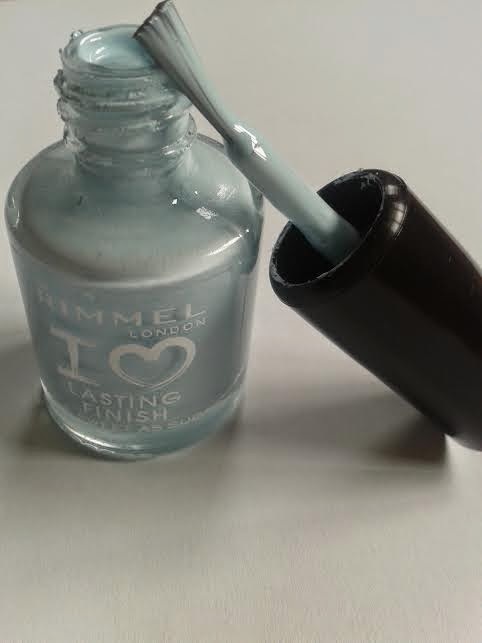 I just think this shade is perfect for this time of year when the sun is shining and it's lovely and warm! If you're interested, this nail polish is priced at £2.99, which is very reasonable! Love this colour, so fresh!